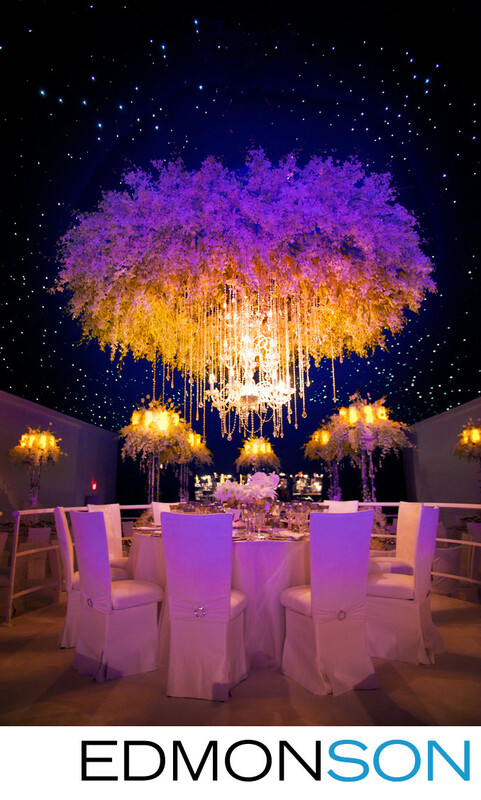 Massive chandeliers and floral displays sit inside private tent with starlight led panels and white chairs for luxury garden wedding at the Dallas Arboretum. The creative genius for the set design is Nelson Robinson of Stageworks in Ft. Worth. Wedding coordination provided by Mary-Frances Hurt of DFW Events. 1/6; f/2.8; ISO 2000; 24.0 mm.